There’s a vast realm of information available to college students regarding the best way to save money on textbooks. While some of this information is useful, a lot of it is downright misleading, and can actually cause students to spend more money! It’s important to sift through all the information thrown your way, and make educated decisions on how you want to get your textbooks. Don’t automatically go for the newest option. Every year, companies cash in on back-to-school season and introduce some “new, groundbreaking” system for saving money on textbooks. While these new ways of saving money may receive a lot of press, that doesn’t mean that they’re the best thing, they’re just the most recent addition to the market. It’s always more beneficial to research all of your options, rather than hopping on the bandwagon. Ask your professor if you can buy an older edition of your textbook. If they say okay, go for it! Older editions are always less expensive, and generally aren’t much different. Compare prices, if you do decide to buy a book. Websites like CampusBooks.com compare prices to buy, sell, and rent, finding the best deal for you, whether that’s an e-book, used, new or rental textbook. Don’t discount e-books. Although the new textbook rental service for Kindle is really limited, you should still search it for your book, because if it is there, it will be a good deal. If tech gadgets are your thing, invest in an iPad or e-reader. More and more textbooks are becoming available on iPads and other tablets, and it lightens the load of heavy textbooks. Share with your friends. If you have a friend in the same class, share your book! It splits the cost. From experience, this actually works, and since you’ll be forced to study with your friend, you end up remembering more information, too. Don’t shy away from selling your books. While it can be a hassle to use a website or go back to school to sell a book, it pays off in the end. Buying and reselling used books usually saves students the most money. Even if your school has switched to a new edition, odds are, there are still people buying online. 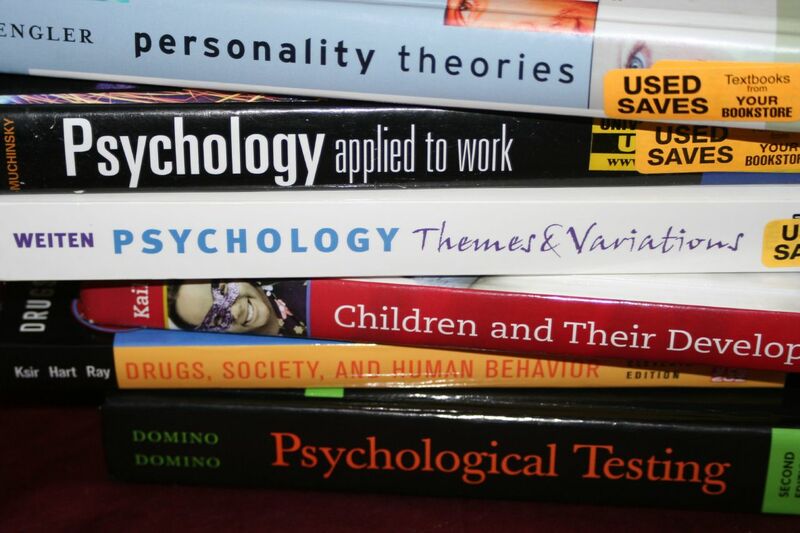 No matter what, there are plenty of ways to save money on textbooks. The most important factor is researching every option, so that you’re able to determine which way of saving money works the best for you!